Here are the list of possible opponents of the Phoenix Fuelmasters and its possible ranking entering the quarterfinal round of the 2018 PBA Governors' Cup. What is the highest seed Phoenix can obtain? The Fuel Masters are still in contention for the No. 2 spot. How can Phoenix get that No. 2 spot? A Phoenix win over Blackwater will give the Fuel Masters the second-seed as they will have the highest quotient of +2 among Alaska and Magnolia in the event of a three-way tie. If Phoenix loses to Blackwater, what seed can they get? 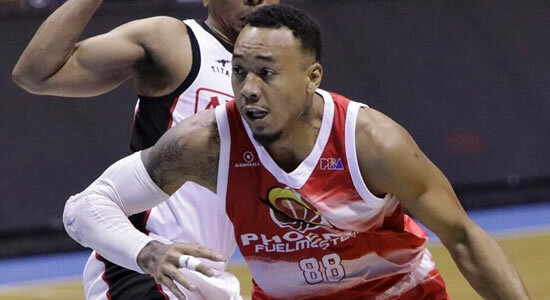 The Fuel Masters will miss out on a twice-to-beat advantage in the quarterfinals if they lose to Blackwater, since they can end up either at No. 5 or No. 6. Phoenix will get No. 5 if San Miguel loses to Meralco, while it will drop to No. 6 if San Miguel beats Meralco as the Beermen won over the Fuel Masters by 17 in the elimination round.